MAY to July is likely to be drier than average over some parts of eastern Australia, but wetter for parts of inland WA, and scattered parts of the northern Australian coastline, according to the Bureau of Meteorology’s ‘first look’ seasonal climate outlook for May, June and July, released today. 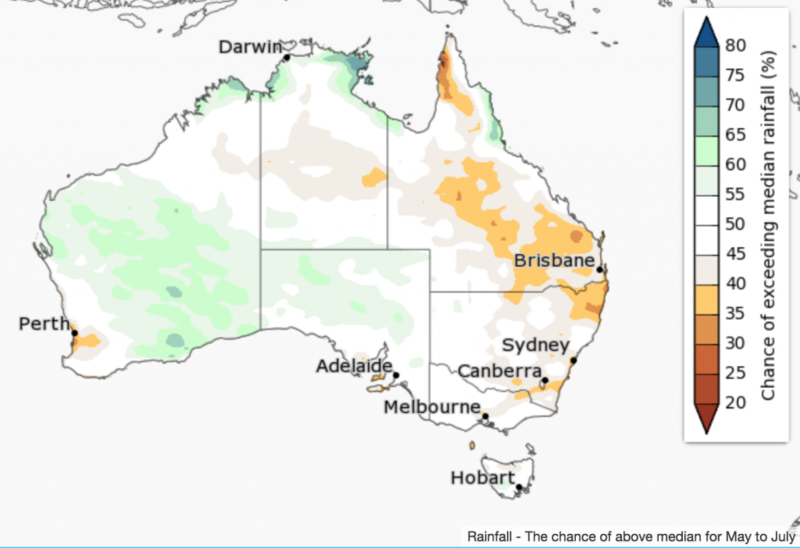 For May, some parts of the south-west and east are likely to be drier than average, while inland WA and parts of the far north are likely to be wetter. 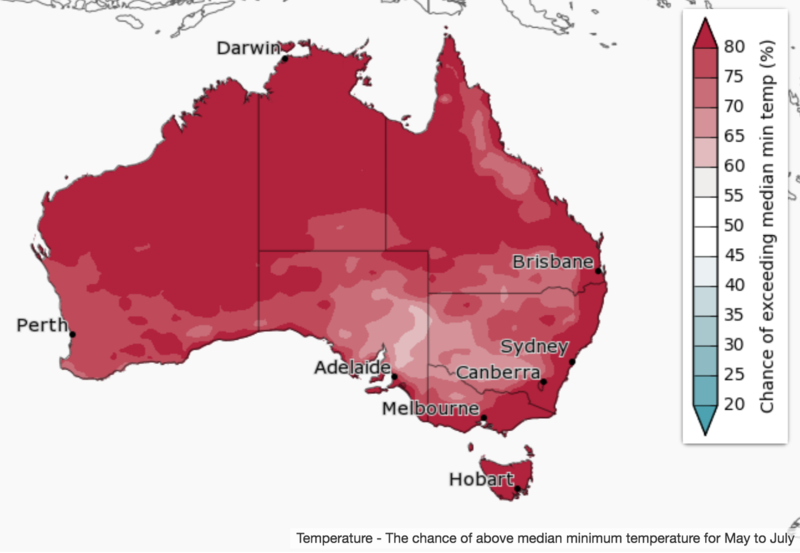 Most of the country has equal chances of a wetter or drier than average month. 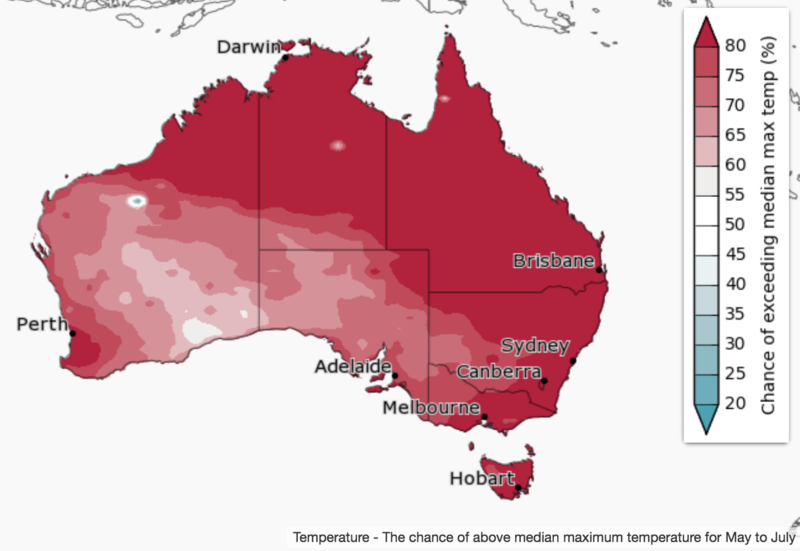 Historical outlook accuracy for May to July is moderate for most of the country but low across south-east Queensland and large parts of southern Australia. See map for details.